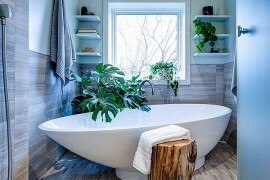 Who among us has not searched for ways in which we can maximize the space in our home without sacrificing on aesthetics and style! 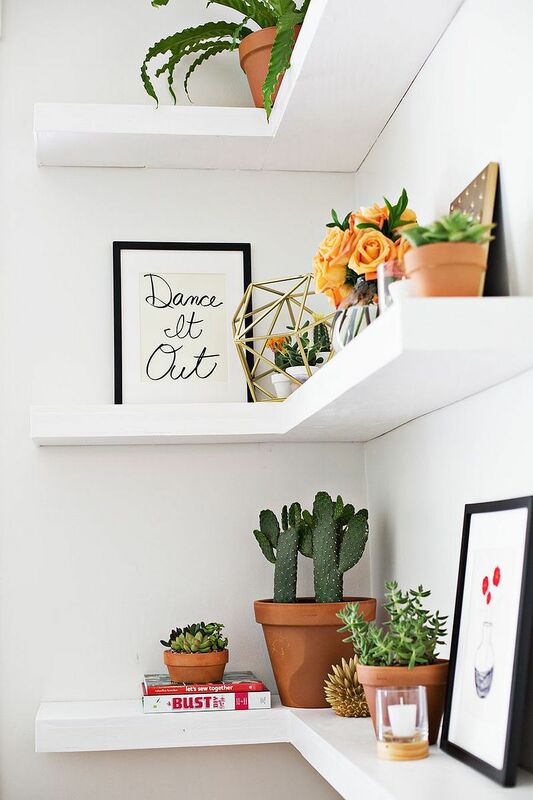 It is a common theme in most homes across the world and often the hunt for more space leaves us disappointed simply because we refuse to notice those forgotten corners or realize all the potential that they hold. 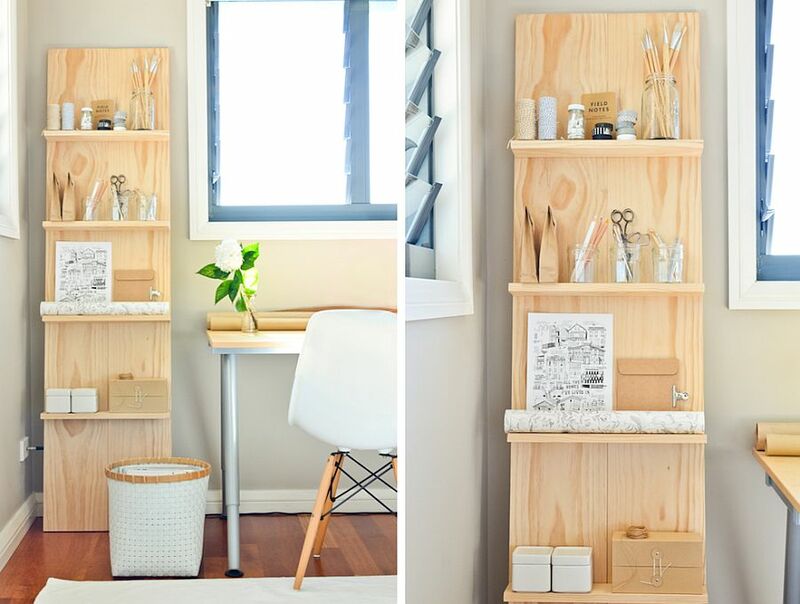 The empty corner in the living room or the tiny niche in kitchen can add plenty of storage space without you needing to give the room a major overhaul. 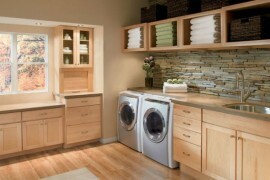 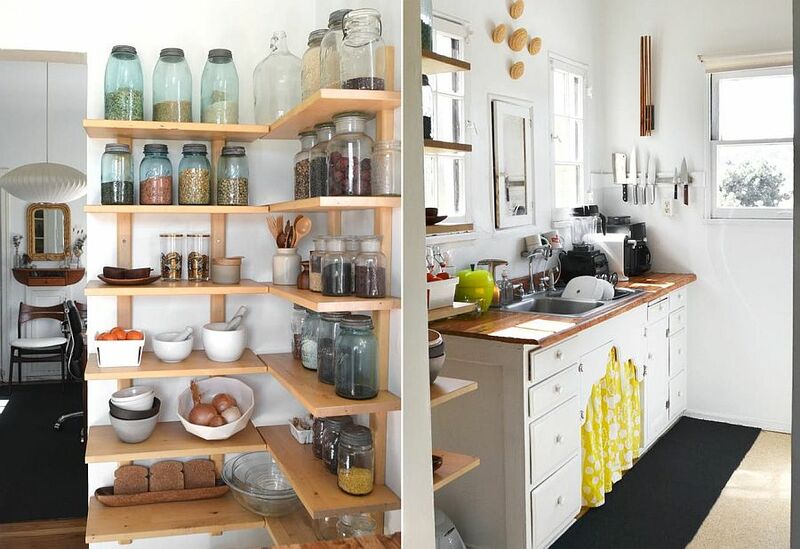 And leading the pack here are open, corner shelves that can be used in a variety of ways. 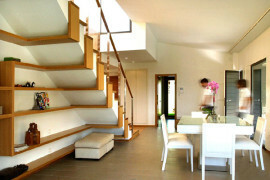 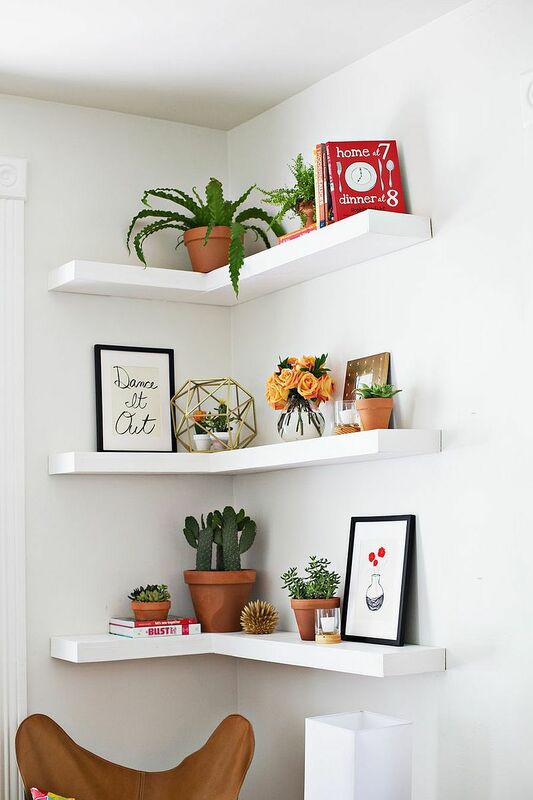 The slim floating shelves in white are a staple of the contemporary living room. 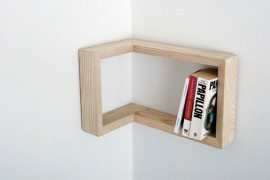 They tend to blend into the backdrop and provide plenty of display and storage space even as you look to take full advantage of the available vertical space. 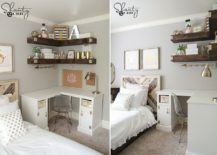 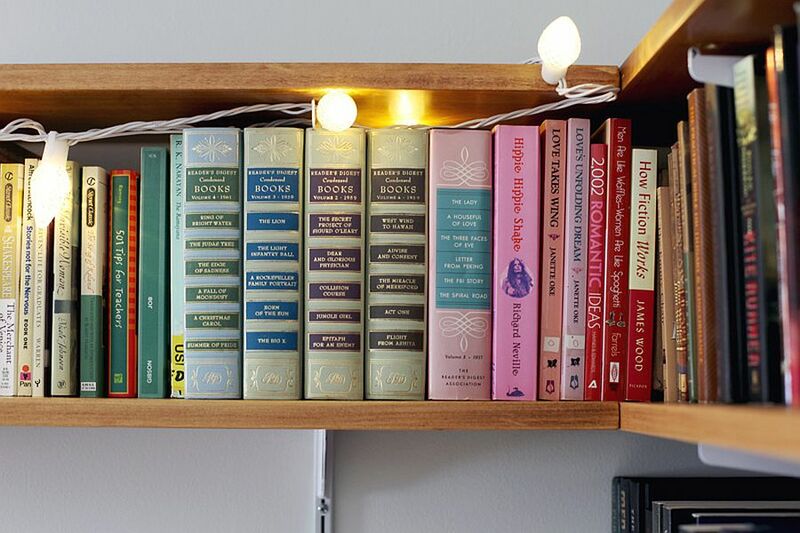 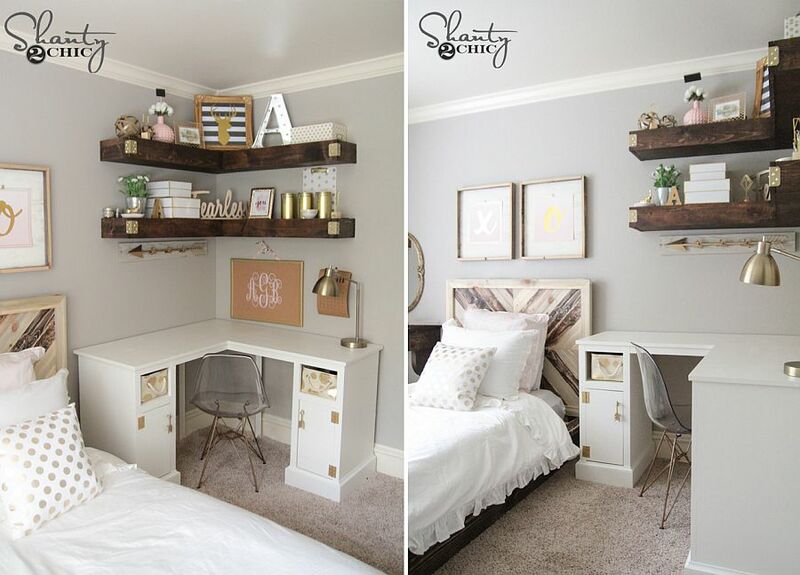 Take a similar approach to utilizing the corners with DIY floating white shelves that take intermediate level crafting skills. 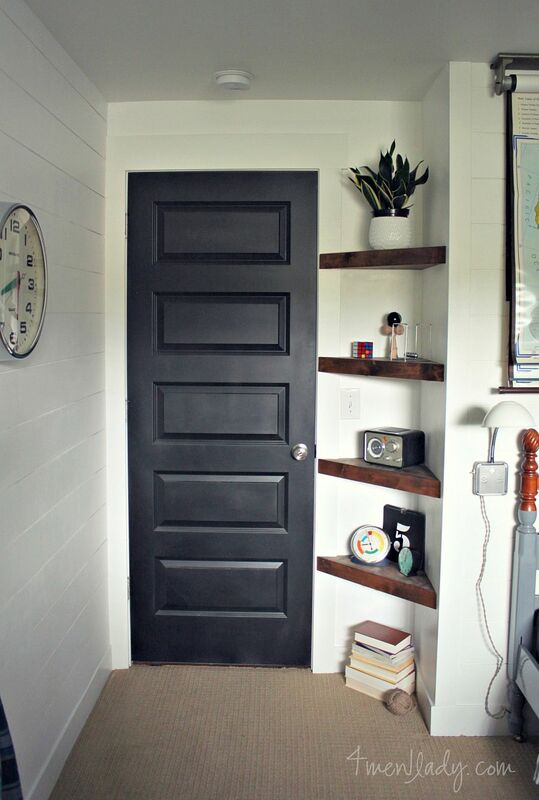 All you need here is lumber, the right crafting tools, plywood and paint to get the job done. 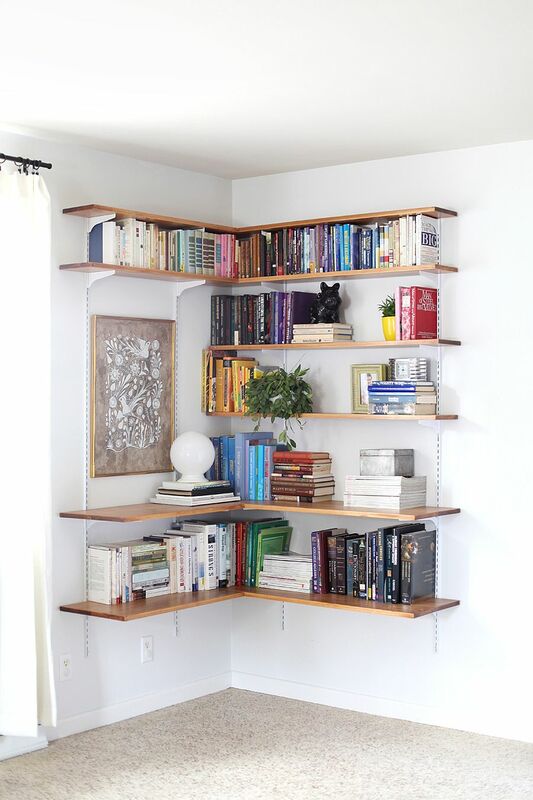 The custom corner shelves from Deuce Cities Henhouse look equally fabulous and offer plenty of storage space for bibliophiles and homeowners looking to turn the living room corner into a personal reading nook. 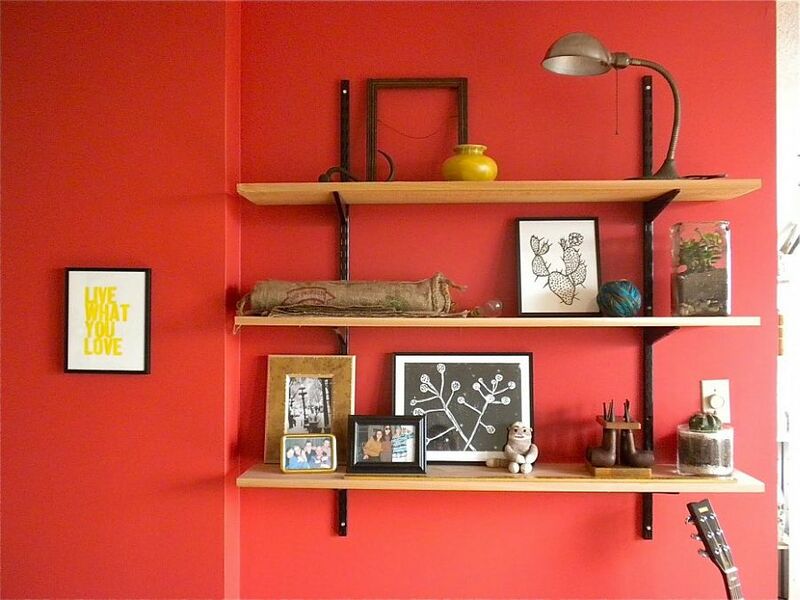 Bored with clean, straight lines and simple rectangles? 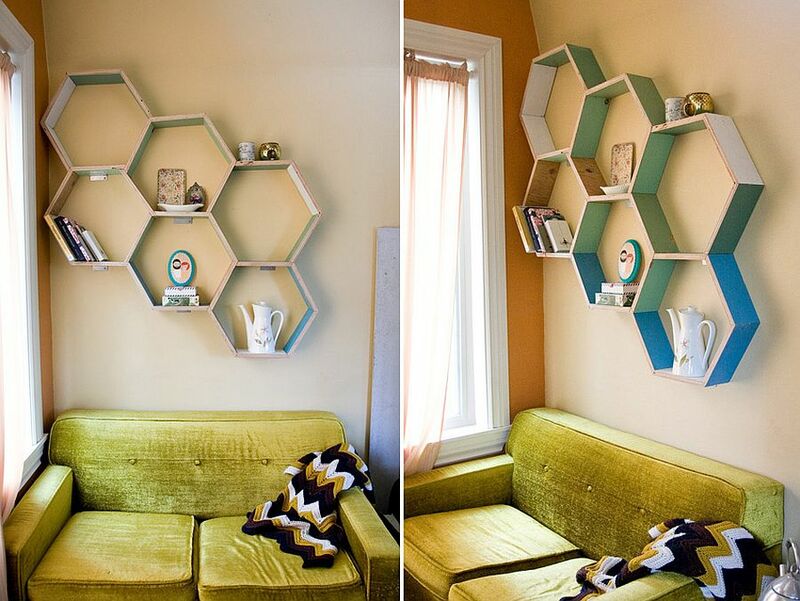 It is time then to dabble into some geo contrast with fabulous DIY Honeycomb shelves. 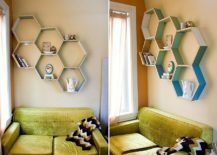 These hexagonal masterpieces are easier to craft than you might imagine and the result is surely something to be proud of! 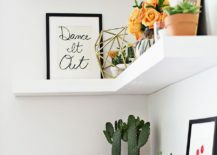 Time to give the empty corners a practical makeover, but with a textural twist! 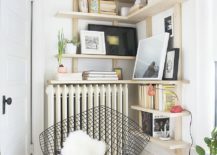 Wood brings warmth and contrast to the modern home and whether it is in the tiny polished kitchen in white or the sophisticated bedroom in gray, DIY corner wooden shelves fit in pretty much everywhere and anywhere. 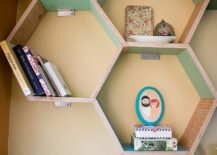 It is the finish of the wood and the materials that you combine it with to create the DIY corners shelves that ultimately define their style. 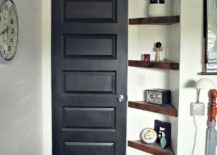 While wooden shelves with live-edge or raw, unpolished look are perfect for rustic, farmhouse and traditional spaces, shelves with wood and metallic sparkle work well in shabby chic and industrial style interiors. 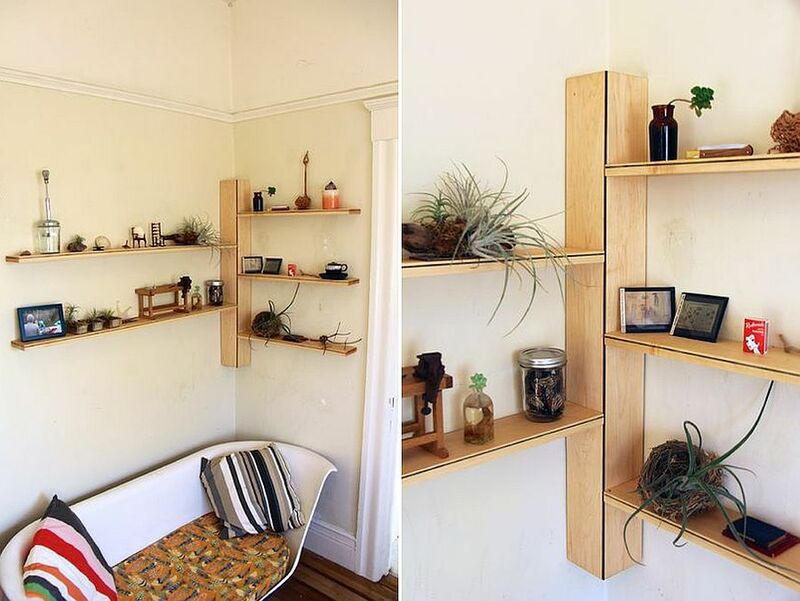 DIY corner shelving is not all about extensive designs that create a lovely display or provide ample space for storage. 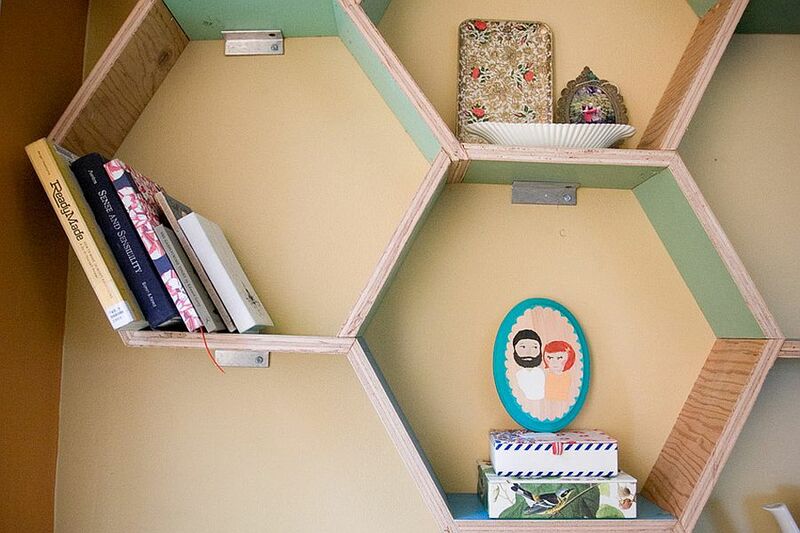 Sometimes, you need to with tiny niches and ultra-small corners that feel like a lost cause. 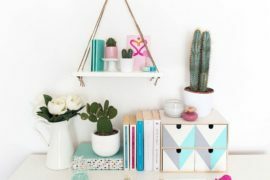 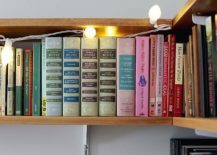 Not to fret as a smart, triangular DIY floating shelf like the one we discovered on 4 Men 1 Lady can transform even the smallest and most awkward of corners. 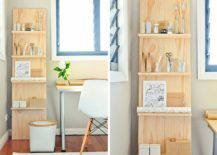 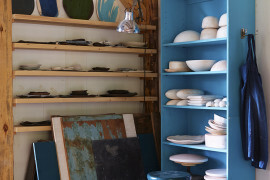 The House that Lars Built take a different approach with a standalone corner shelf that has Scandinavian style written all over it while Kitchn offer DIY corner shelving idea for small kitchens.